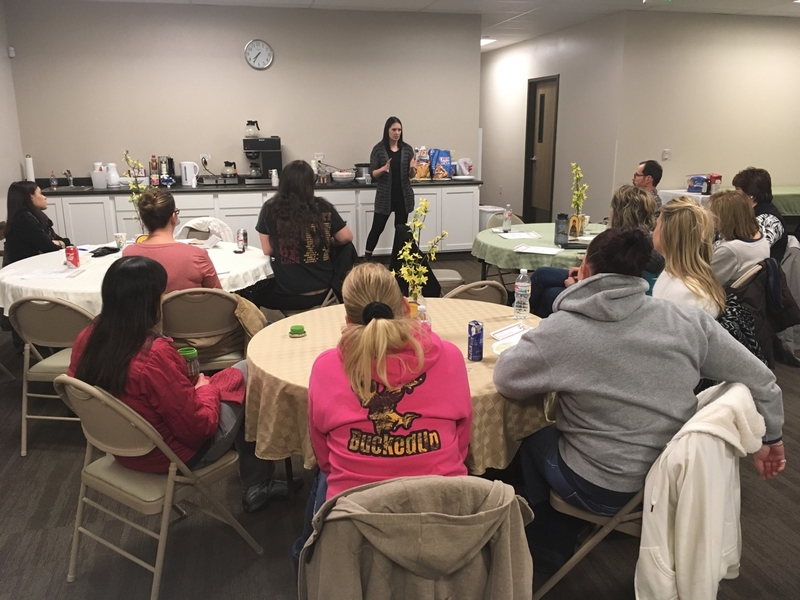 The ‘Friends of the Community’ met for their monthly meeting Tuesday evening with roughly twenty members in attendance. Ministry President Alexis Garrett organized the evening and invited Ms. Lori Kempter, Director of Family Promise to offer a presentation. Family Promise of Cheyenne is a local organization which teams up with local parishes and charitable groups to offer services and housing to those in need. Holy Apostles Orthodox Christian Church of Cheyenne, through the leadership and initiative of the 'Friends of the Community,' and under the pastoral guidance of Father Christopher Xanthos, is a Supporting Faith Community. Supporting Faith Communities provide meals, fellowship and required items while the families in the program are residing at the Host Faith Community. 'Friends of the Community' President Alexis Garrett thanked Ms. Kempter for offering the presentation and assured her that Holy Apostles looks forward to many years of a continued partnership working with Family Promise of Cheyenne.